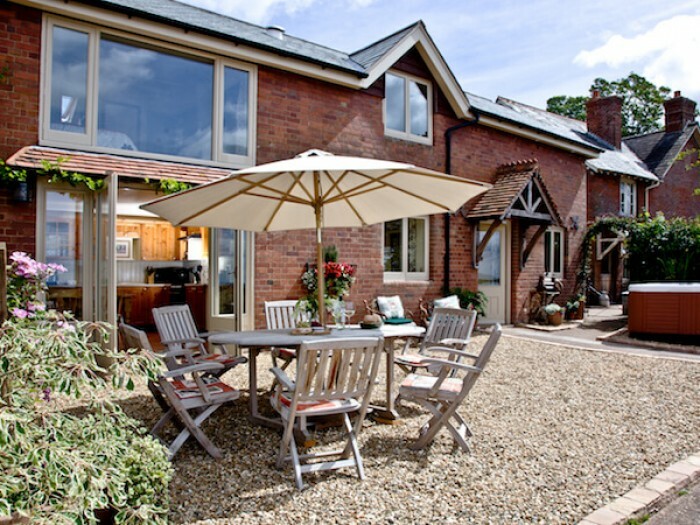 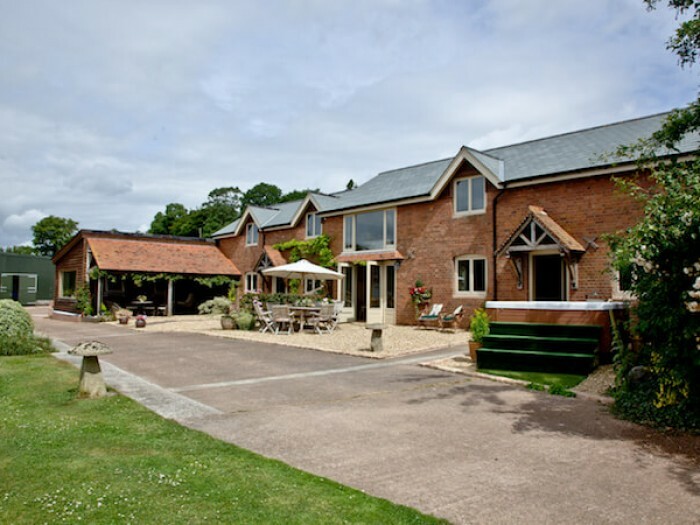 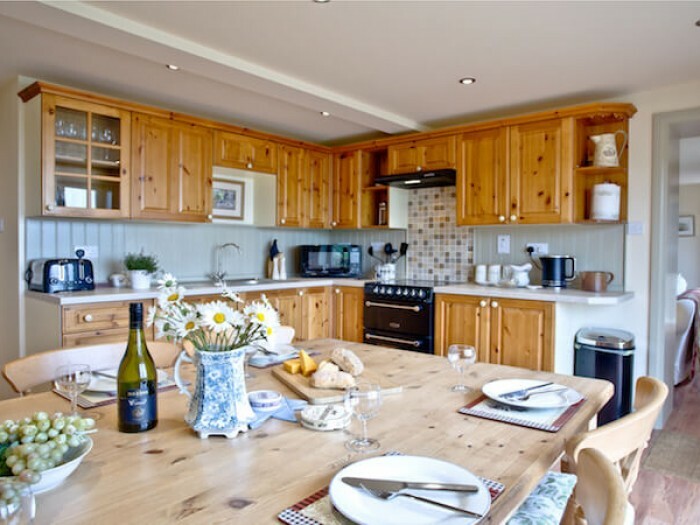 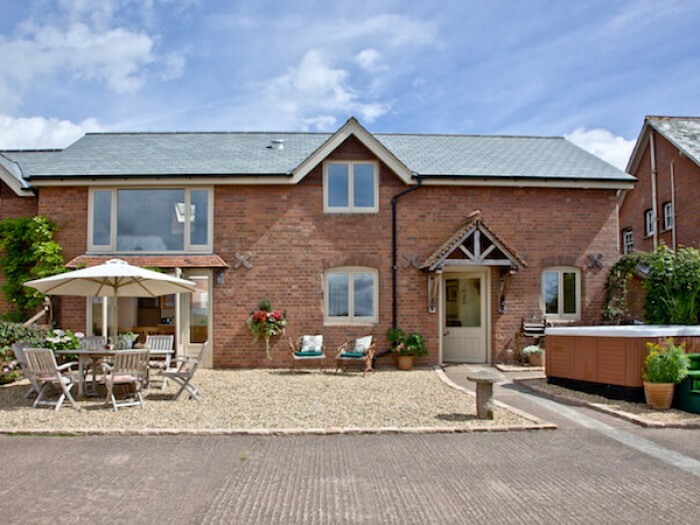 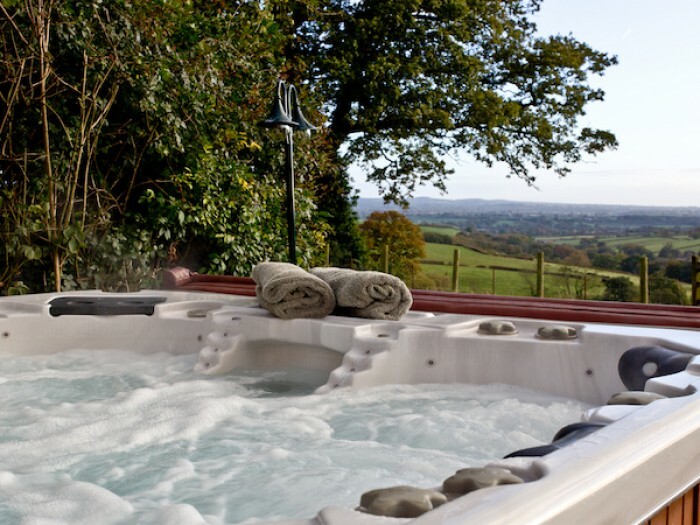 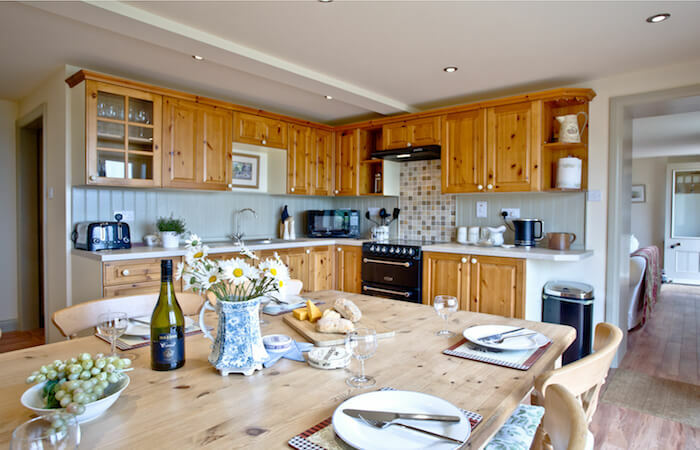 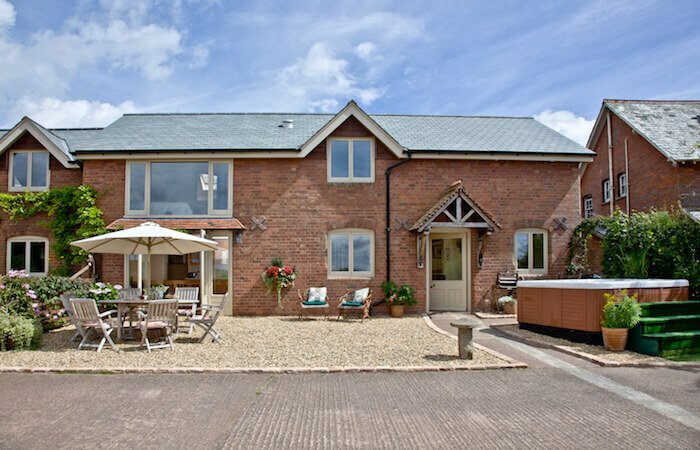 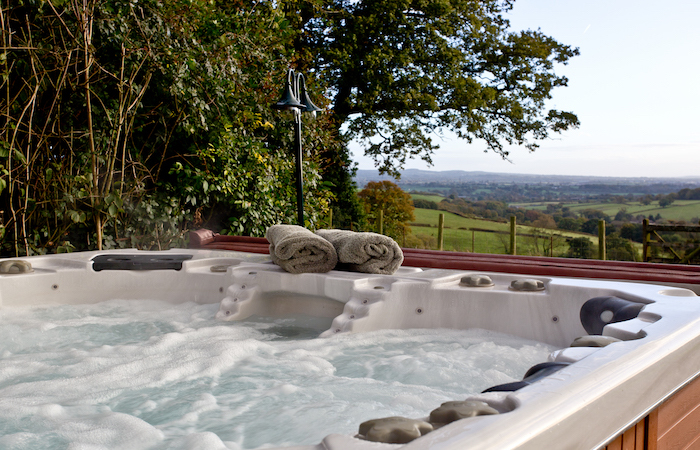 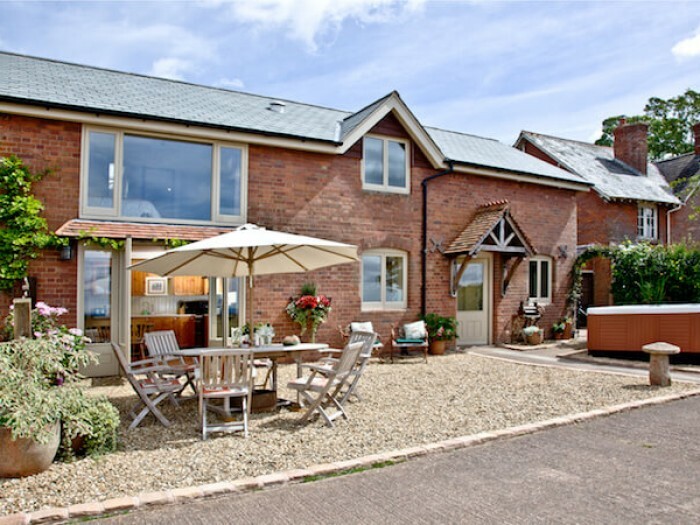 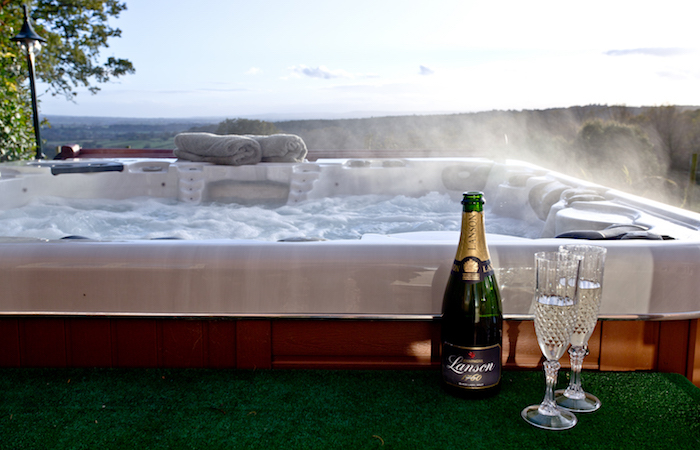 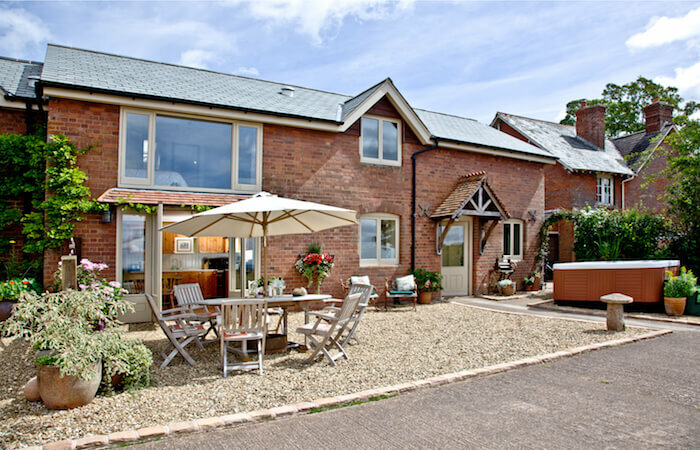 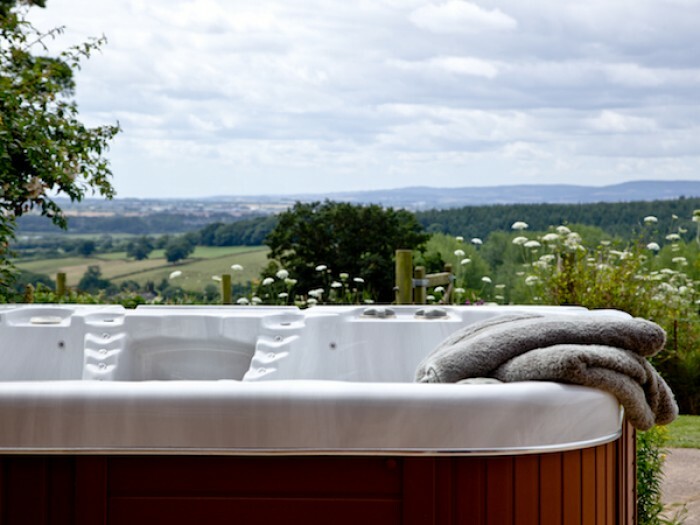 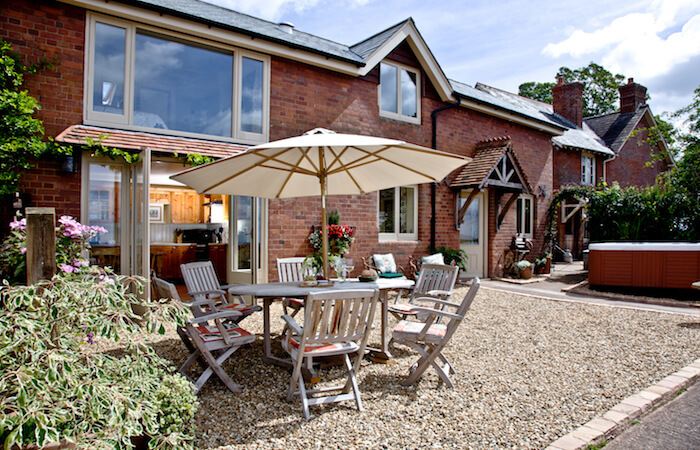 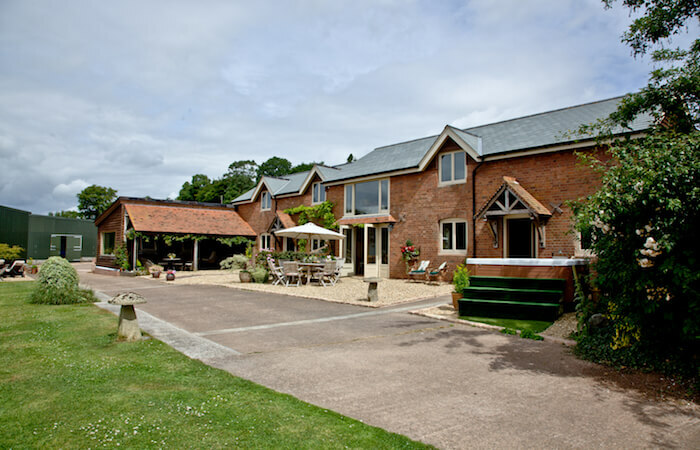 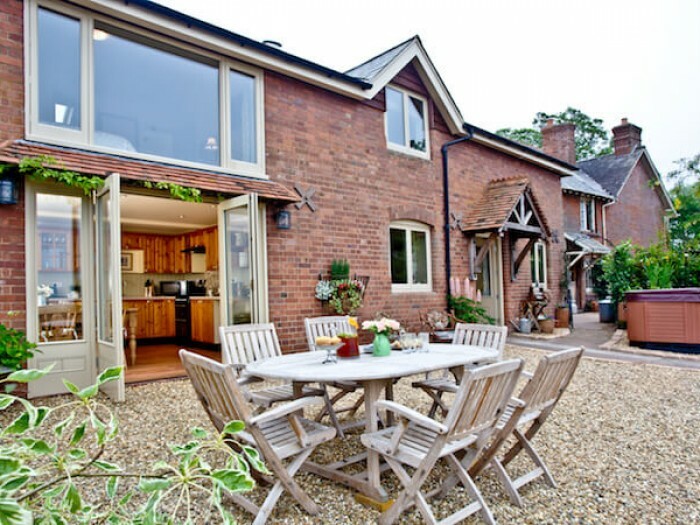 Searching for "Holiday cottages in Devon with hot tub?" 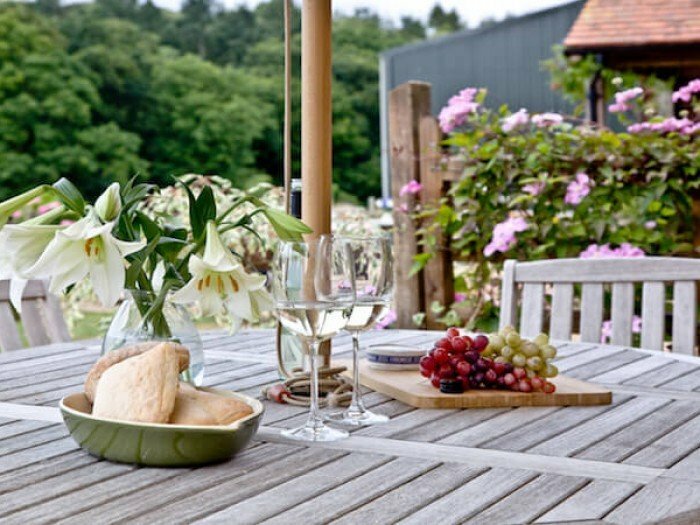 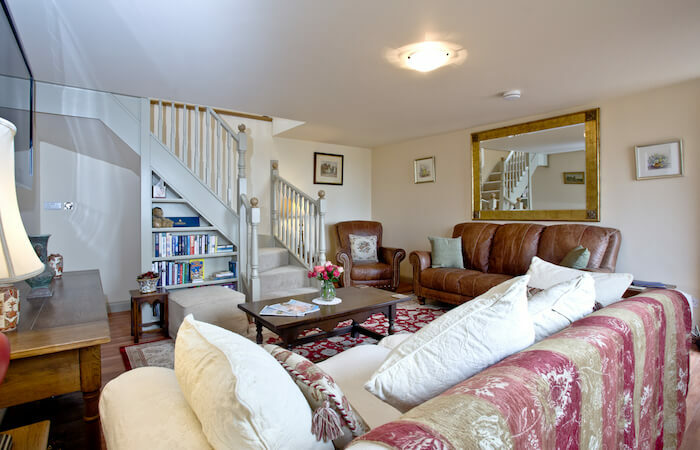 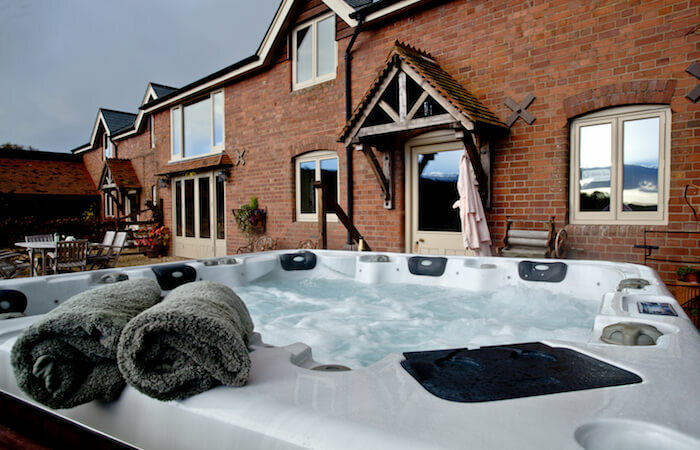 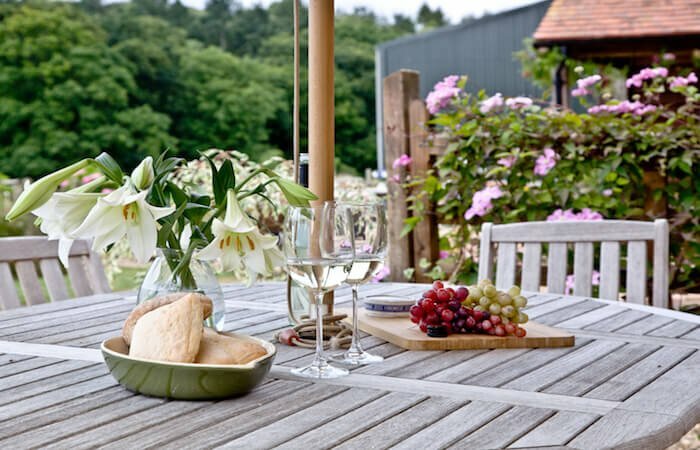 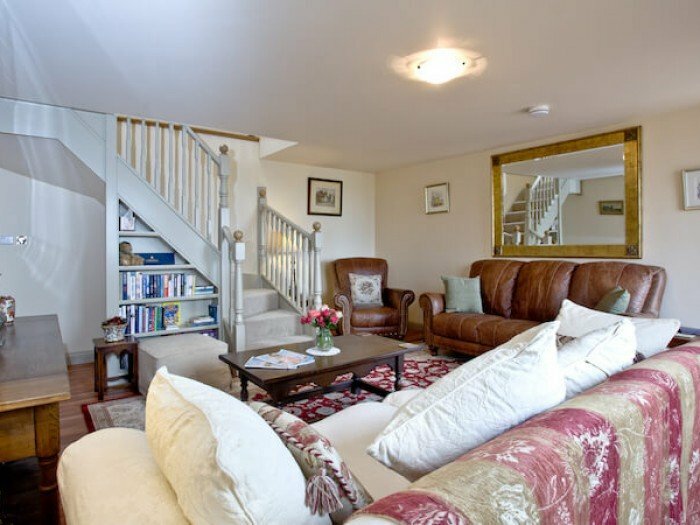 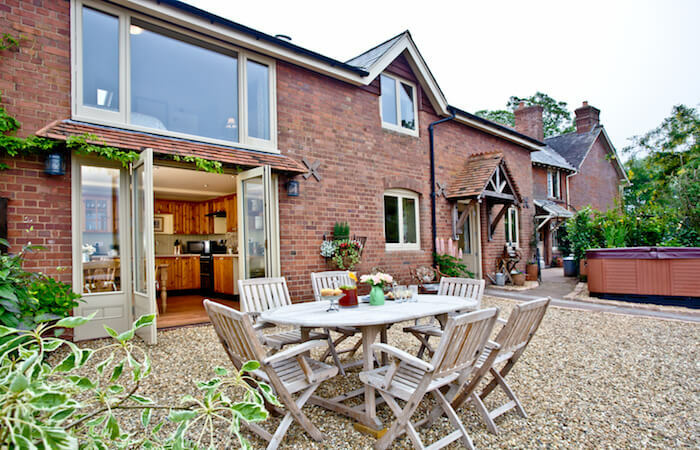 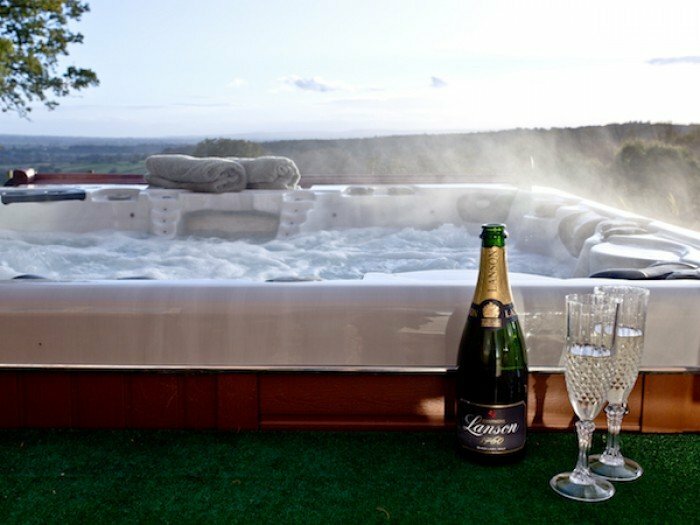 - The Coach House at Sherway, has its very own private hot tub, perfect for unwinding and soaking those achy muscles after a long days walking in the beautiful countryside. 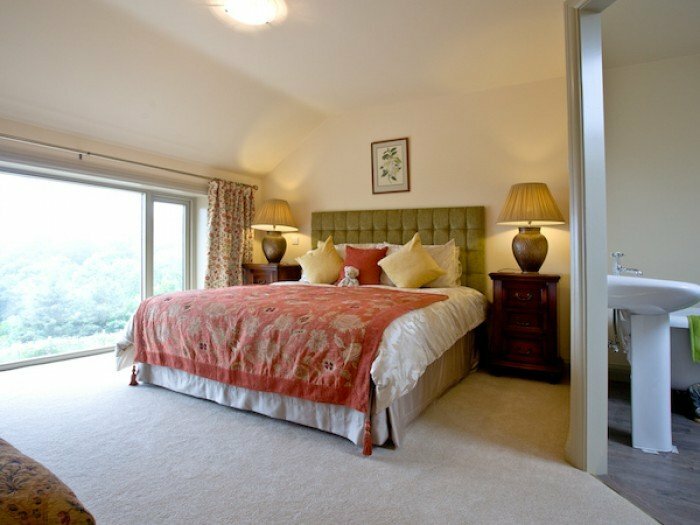 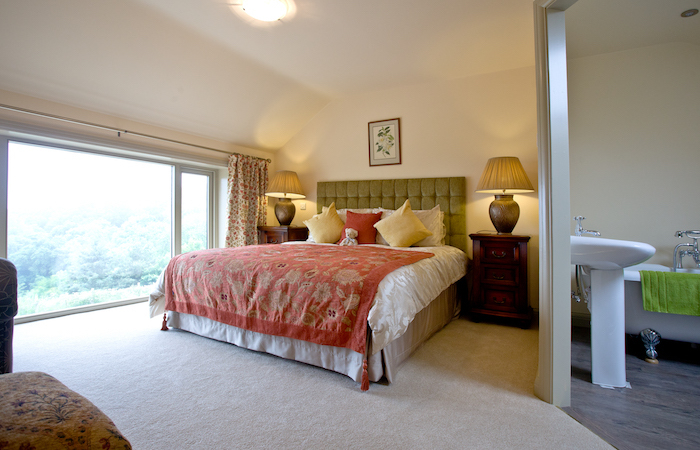 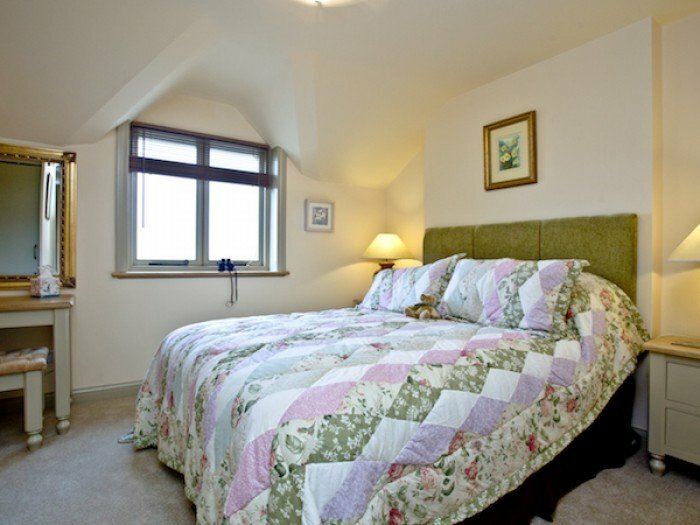 When it’s time for bed, you’ll find three spacious bedrooms, each with there own en suite for a little extra privacy, and two super king size beds and one king size bed. 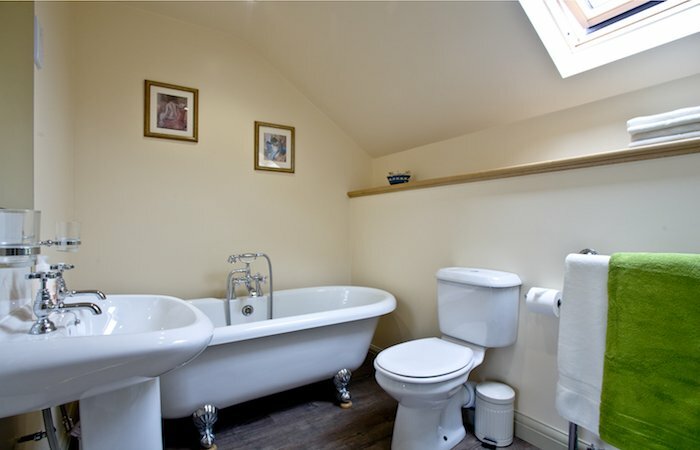 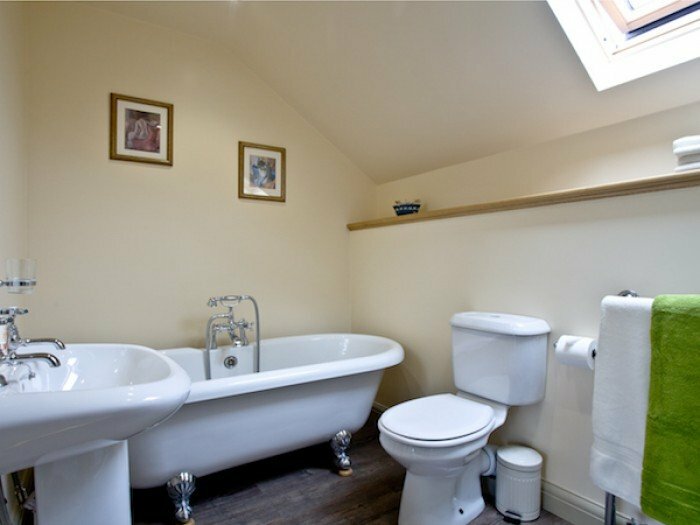 You’ll even find a roll top bath in the master bedroom’s en suite…enjoy. 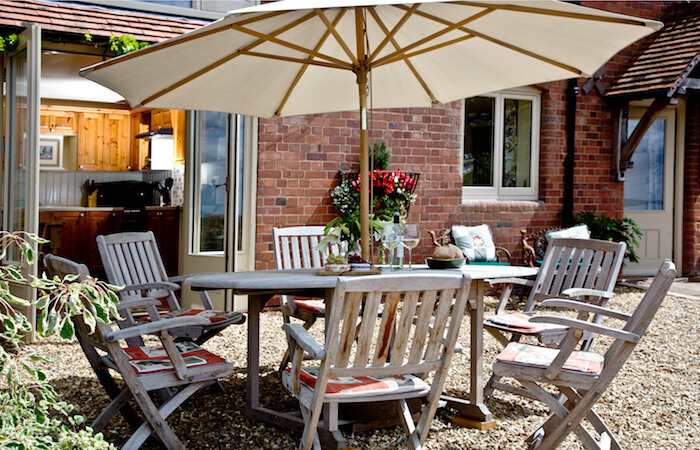 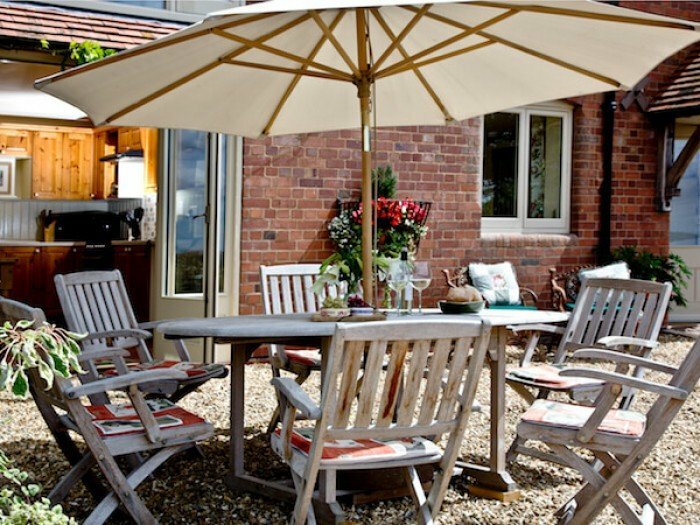 A large outside table with chairs which can seat 6 people. 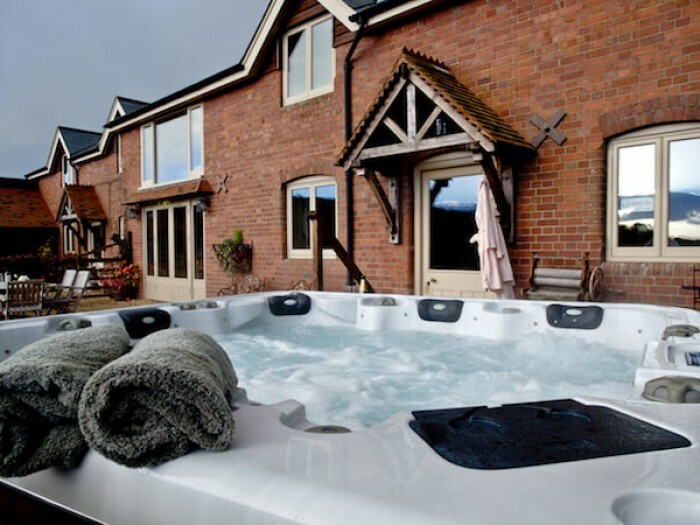 A large outback BBQ, Sun loungers and a six person hot tub. 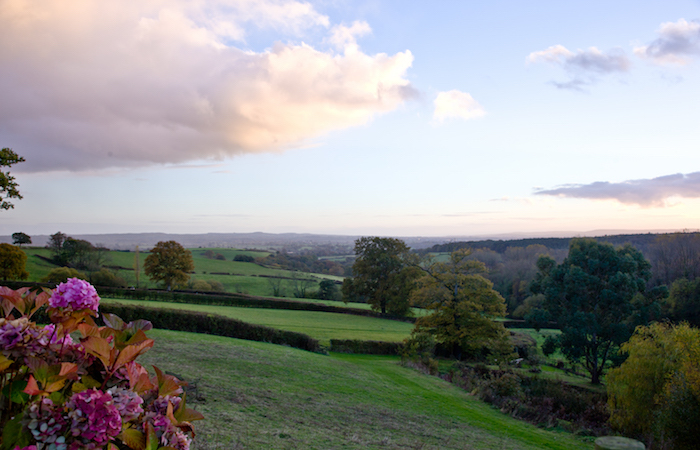 looking out of two Bedroom windows you can see Ashclyst forest the largest woodland in East Devon and our local woodland Paradise Copse , which we own part of. 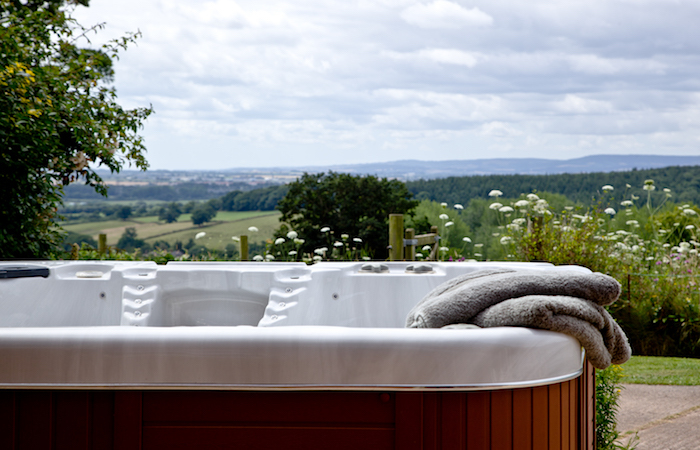 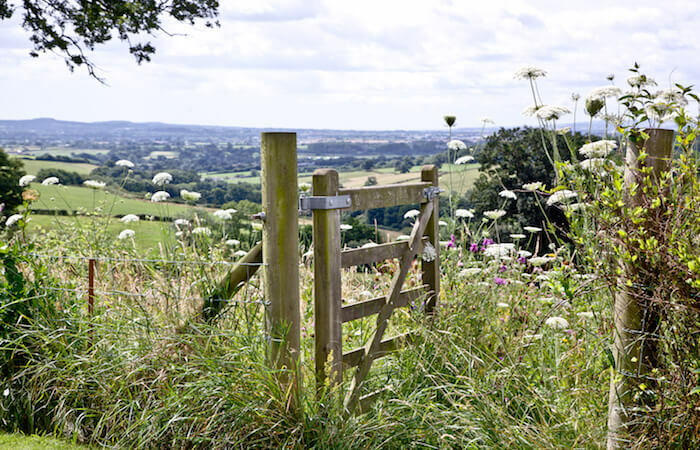 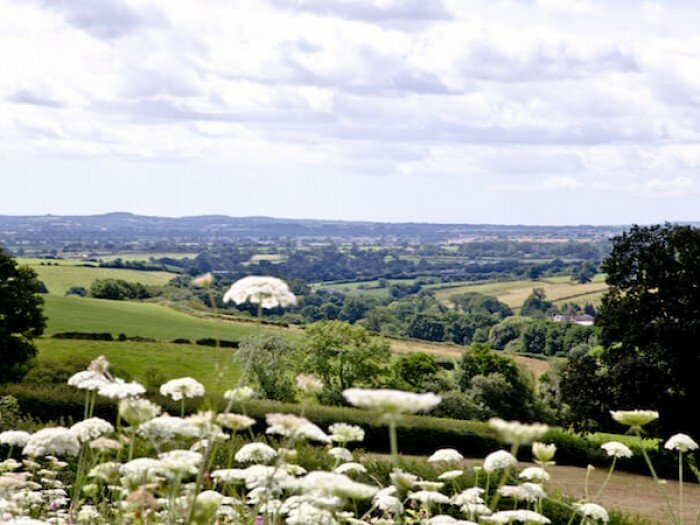 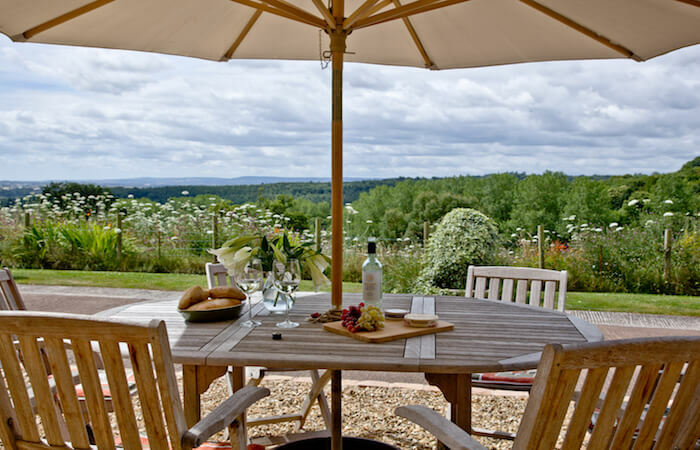 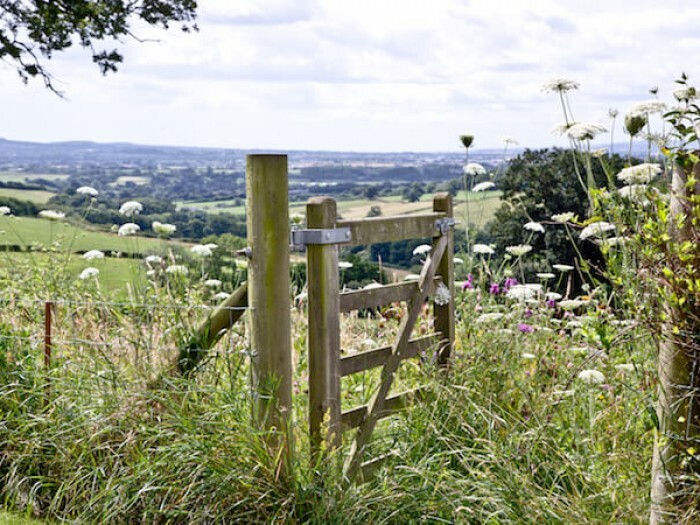 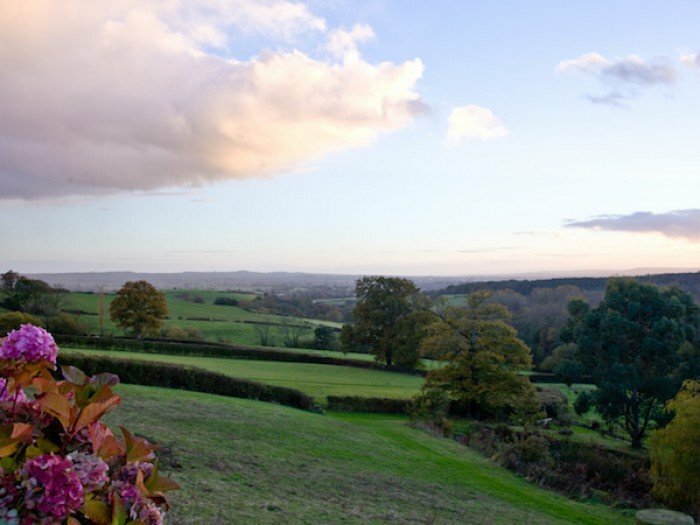 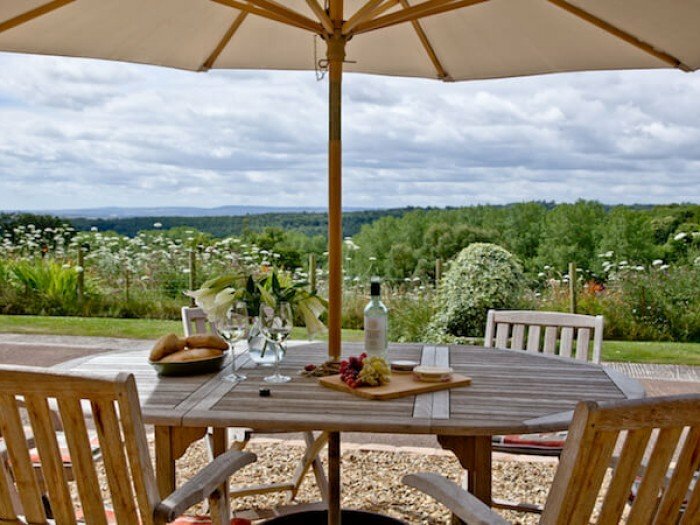 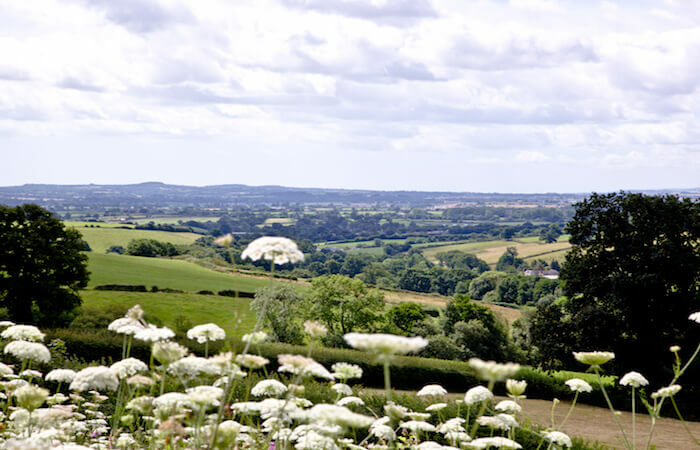 We can ever boast a view of up to 26 miles. 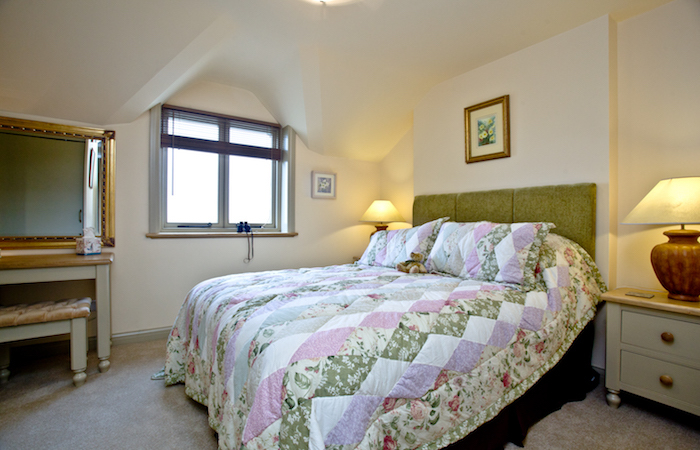 The third room offers the sky, clouds and sunshine.